For the past few years, Genesis has been Hyundai’s venture into luxury sedans. The company slapped a new logo on the car, attempting to put it on the same level as the Lexuses of the world. But while Lexuses are selling by the thousands in the U.K., Hyundai’s killing the car off after only selling 50 since 2015. In case math isn’t your thing, 50 cars in two years is not a lot. There are almost 66 million people living in the U.K., and in two years, Autocar reports that 50 of those people have decided to mosey on over to a dealership and pay $65,000 at current exchange rates for a Genesis. We reached out to the company to confirm that number, and will update when we hear back. 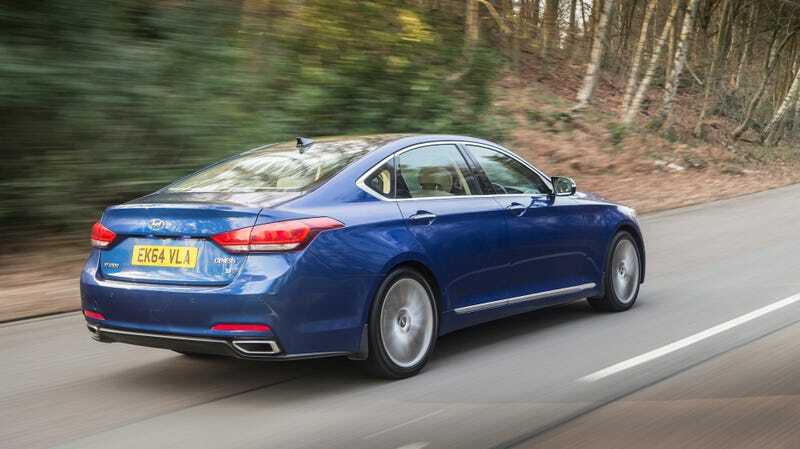 “The Genesis was never built for the European market, it was conceived for the Korean and American markets,” Hyundai UK managing director Tony Whitehorn told Autocar. “It shows a saloon car with a 3.8-litre engine is not really what is demanded in Europe, and in particular in the UK. But it’s not like luxury sedans with a lot of power are totally ignored over there, since the four-door $94,500 Lexus GS F sales numbers were at 1,351 during that time frame. That’s 1,301 more than the Genesis. Well, Genesis, it was a good run. Just think—at that rate, you’d catch up to the GS F’s numbers in a mere 52 years.